Act in airy place where not too much windy. 1.Microwave high heat for 30 to 60 seconds in summer, and microwave high heat for 30 to 90 seconds in winter. If feel heat is not enough, you can heated for 10 to 30 seconds second time, but can not be heated for too long at one-time. 2.Put in a steamer high heat for 10 to 30 minutes after wrap with plastic wrap. 3. Should be tested the temperature after heating to avoid scalding. 4.Store in a sealed bag after dry, when no use. and clean the outer packing bag often to keep clean. Must remember should drink more warm water than usual (never drink cold water) when moxibustion, so that will help to flush out toxins from your body. Should take a bath before moxibustion, because the hot bath can make to sweat gland expansion, blood flow to accelerate, moxibustion better results. You can take a shower. After moxibustion not exceed 4-8 hours. It should be warm water if you need to shower immediately after moxibustion. If you shower in normal temp. You should used at least 30 minutes because blood flow to your skin hasn’t time to drain the poison out a lot if we get a cold shower too soon, and it’s easy to catch cold. 1. Prohibited use if in pregnancy. 2. DON’T moxibustion if you suffer from hemorrhagic disorders, such as the patients with platelets (prone to bleeding) ect diseases. 3.DON’T moxibustion there is skin wound and body inflammation site. 4. Pulse rate of more than 90 times per minute prohibited moxibustion. 5. If the fracture is not healed, do not moxibustion. 6. DON’T moxibustion when hunger, satiety and alcoholics. 6.Should not be done the moxibustion in an hour after meals. 7.Do not wash your hands or wash with cold water within half an hour after moxibustion. EYE CARE MEDICINE BAG– Eyes hot compress bag SPA eye care smokeless Moxibustion mask, apply heat to eye care. Preserve vision, alleviate eyes fatigue and discomfort. It is made of Mineral sea salt & Ai cao Chinese Wormwood, borneol ect Chinese herb. Using the heat to release the ingredients of traditional Chinese medicine to penetrate the body through the meridians, thus providing preserve one’s health. PERFECT MOXIBUSTION YOGA EYE PILLOW-To enjoy deep relaxation. The mineral sea salt Anti-inflammatory, also provide light acupressure to refresh and rejuvenate tired achy eyes, preserve vision, Alleviate eyes fatigue, the borneol clearing away heat and toxic materials, the moxibustion promote blood circulation, clearing damp to ward off cold, relieve physical discomfort and improve sub-health, keep a good kidney, strong bones. GREAT GIFT-GIVING– 5 body acupoints diagram (PDF), 2 acupuncture points moxibustion treatment demonstration diagram (PDF) and a moxibustion teaching ebook (PDF). Buy our moxibustion products 3 sets and more, giving again the moxibustion teaching demonstration video (Chinese and English subtitles) image file (let you burn, due to the DVD disk can’t mailing) as a additional gift. Please contact us or leave your email address if you need these PDFS & video image file. QUALITY WARRANTY– Any inquiries about your purchase that you can always contact us. We would treat your issue seriously and try what we can to solve your problem. EYES & FACE CARE– Eye moxibustion can remove black eye, relieve eye fatigue, promote blood circulation around the eye, protect and improve vision, which has a great effect for the people who busy in homework & often sit in front of computer. The traditional Chinese moxa facial moxibustion can be to remove wrinkles, freckle, acne, to smooth pores, to activate cells for improving skin quality and to balance natural acid and alkali, brighten facial colour, for face detoxification and beauty. Biofinest 100% Pure Wormwood Essential Oil – Experience The Therapeutic Aroma of Wormwood Oil Today! -Sense of clarity and calmness. -For incense, perfumes, cosmetics, and deodorant , meditation, and prayer. – Mental clarity – incense or fragrance. – Relaxing and calming – reduce anxiety. – Relieve insomnia – natural sleep seductive. – Help to improve digestion. – For fatigue and nausea. – As emmenagogue- stimulate menstrual discharges and help to open obstructed menstruation. – Fight cough and respiratory illness. -Add a few drops to a log before burning it in the fireplace, or radiator, or light bulb ring for relaxing smell at home. -Add 2-3 drops on the car A/C vent to help maintain alertness during rush hour. -Disinfect the washing machine, just add 10-20 drops per load. -Add to the hot tub to a foot bath to promote additional relaxation. -Cough – Add a few drops to a tissue or washcloth and inhale. OUR 100% Satisfaction Guarantee: Love our Wormwood Essential Oil or get a full refund! PREMIUM QUALITY WORMWOOD OIL: 100% Pure, Non-Toxic, No Additives, Unfiltered and Undiluted with No Fillers. Vegan certified, organic, paraben free and cruelty free. Safe for family and home use. FREE E-BOOK QUICK START GUIDE (worth $37): Exclusive access to Biofinest comprehensive essential oil guide “100 Ways To Use Essential Oil”. Printable and beginner friendly. Make blends with your favourite essential oils, and enjoy home aromatherapy today! IDEAL FOR HOME & FAMILY: Aromatherapy, Gift, Custom Massage and Body Oils, Vaporizers, Diffusers, Oil Burners, Humidifiers Inhalation, Perfume, Blends, Spa and Home Care, Cleaning Products, allergen-free alternative to candles or incense Uses. 100% BEST VALUE FOR YOUR MONEY: Comes with premium euro dropper cap for easy dispensing. Packaged in USA with Sealed Amber Bottle. No Leakage or Dripping. We are eco-friendly USA company who stand behind our brand. Try our products risk-free with 100% money back guarantee. The only Full Adrenal Repair Program that encompasses a full spectrum of adrenal rebuilding and repair. Doctor designed. The adrenal glands play a highly important role in maintaining good health. Big responsibility for such small organs – about the size of the top portion of your thumb. The adrenals are responsible for making hormones that are a necessity to keep everyday functions in check, including metabolism and reproduction. If the adrenal glands are producing more or less hormones than the body requires, illnesses are likely to creep up on you. Keeping the adrenals functioning at optimum levels helps to regulate mental and physical wellbeing. Properly working adrenals help the body maintain balance during times of stress, which is a major factor to poorly functioning immune, nervous and inflammatory responses. Optimize adrenal function with complementary nutrients. Properties: Fresh and sweet, warm, spicy, reminiscent of clove, not as pungent as other basil varieties. Resembles the basil that is commonly grown in the western countries and used for Italian cuisine. This variety is considered the most valuable of Basil. Extremely aromatic and stimulating. Used in many skin treatments, and is particularly effective in soothing and softening skin. Holy Basil is considered a sacred plan in the Hindu religion. It has been called the “Queen of Herbs” and “Mother Medicine of Nature.” In Ayurvedic medicine, Holy Basil Tulsi is an herb that nourishes a person’s growth and promotes long life. In Ayurvedic medicine, Tulsi is used for common colds, headaches, inflammation. Holy Basil Tulsi helps the body adapt to stress and restore balance. Apply 1-2% in a carrier oil for application. Caution: May be strong skin irritant, avoid when pregnant. Use in low dilutions. Do not use with children. Use a local exhaust avoid casual breathing of vapors. 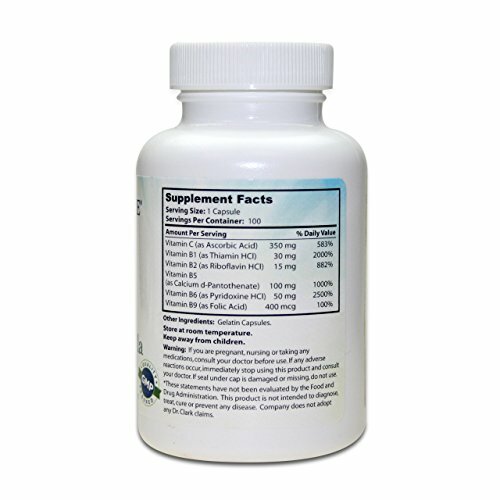 May lower blood sugar and has mild blood thinning properties. Odor: Sweet – vaguely anise-like, cooling fresh minty slight smoky. Source: Steam Distillation of the leaves. Suggestions: Blends well with: Lavender, Clary sage, Thyme, Cedarwood, Bergamot, Geranium, Orange, Rosemary. Dilute with Sweet Almond Oil for direct skin contact. Biosource Naturals is founded by a naturopath, aromatherapist, EFT practitioner, Reiki Master. Fresh and sweet, warm, spicy, reminiscent of clove, not as pungent as other basil varieties. Resembles the basil that is commonly grown in the western countries and used for Italian cuisine. This variety is considered the most valuable of Basil. Extremely aromatic and stimulating. Used in many skin treatments, and is particularly effective in soothing and softening skin. Also known as Tulsi. Suitable for therapeutic purposes. Satisfaction guaranteed. With our 15 ml bottle, get 50% more than other brands 10 ml bottle!! Biosource Naturals pure essential oils collection includes: Allspice, Amber , Anise Star, Bay Leaf, Benzoin, Bergamot, Black Pepper, Black Pine, Blood Orange, Blue Chamomile, Bulgarian Lavender-Organic, Calendula, Camphor, Caraway, Cajeput, Calamus Root, Caraway, Carrot Seed, Cassia, Cedarwood , Celery Seed, Cinnamon, Cinnamon Bark, Cinnamon Leaf, Citronella, Clary Sage, Clove Bud, Clove Pennyroyal, Cocoa, Coffee, Coriander, Cornmint-Organic, Cypress, Dill, Eucalyptus globulus, Eucalyptus citriodora, Eucalyptus radiata, Fir Needle, Frankincense, French Lavender, Gardenia absolute, Garlic, Geranium, Ginger Grass, Ginger Root, Green Tea, Holy Basil, Honeysuckle, Hyssop, Japanese Peppermint, Jasmine, Juniper Berry, Lavandin, Lemon, Lemon Balm (Melissa), Lemongrass, Lily Absolute, Lime, Litsea Cubeba, Melissa, Myrrh, Neroli, Nutmeg, Oakmoss, Onion, Orange, Oregano, Palmarosa, Patchouli, Peach Tree Leaf, Peppermint, Petitgrain, Pink Grapefruit, Pink Lotus, Ravensara, Red Mandarin, Red Spikenard, Roman Chamomile, Rose, Rose Geranium, Rosemary, Rosewood, Sage, Sandalwood, Spearmint, Spikenard, Sweet Birch, Sweet Fennel, Sweet Marjoram, Tangerine, Tea Tree, Thyme, Tuberose Absolute, Tulsi, Valerian, Vanilla, Vetiver, Violet Leaf, White Grapefruit, White Lotus, White Thyme, Wintergreen, Wormwood, Yarrow, Ylang Ylang.